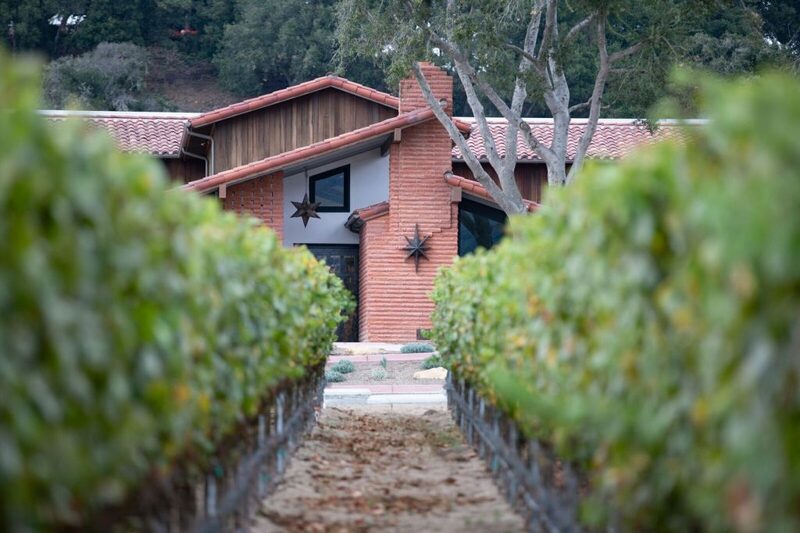 Montecito’s Upper Village, photo by Jordan Duggan. 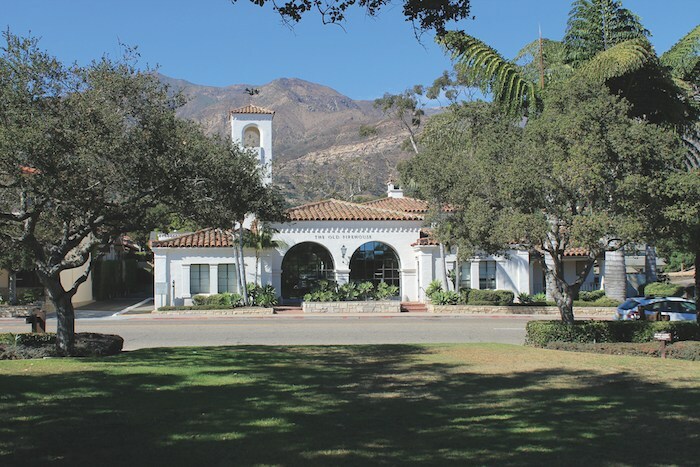 Despite the global sophistication of its residents, the spirit of small town American is alive and well in Montecito’s low key, charming upper village. 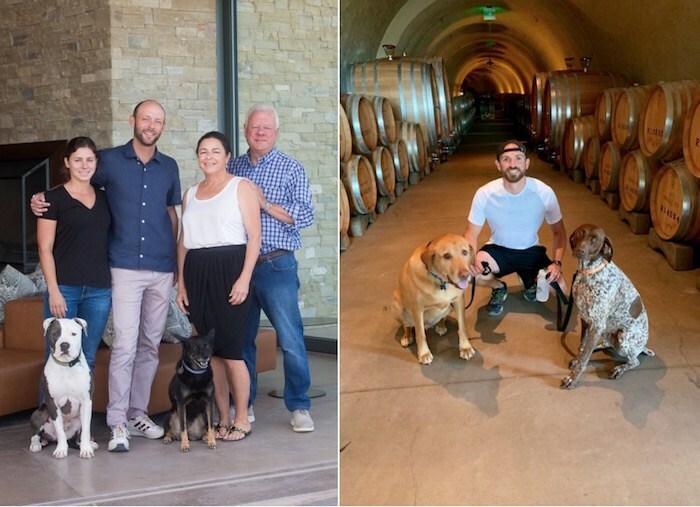 While last year’s twin disasters wrecked heartbreaking havoc both personally and professionally, they also helped create an appreciative climate of reflection and gratitude for the simple joys of greeting neighbors and supporting local businesses. What better time to pay them a visit than during the holiday season. 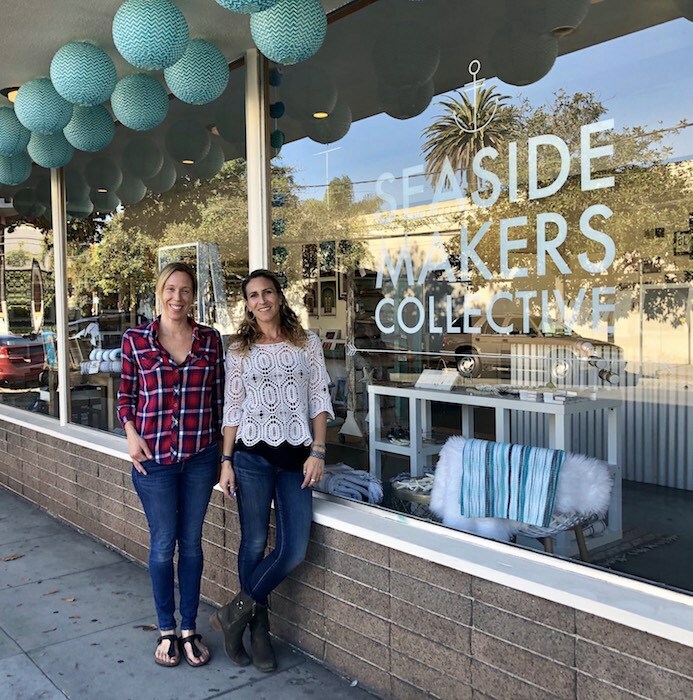 East Valley Road carves a graceful path through the heart of the village, where several clusters of retail businesses and service providers make their homes on both the mountain and ocean sides of the street. 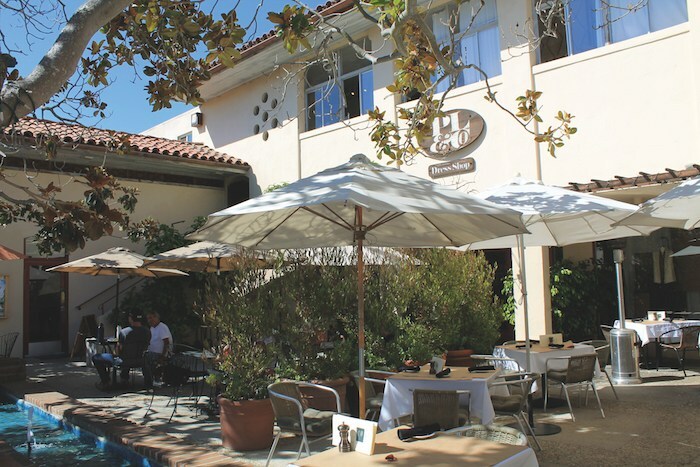 The porch of the Montecito Coffee Shop/San Ysidro Pharmacy and the fountain patio of Pierre Lafond Montecito Market are both great spots to catch up on the latest scuttlebutt or watch the world go by. 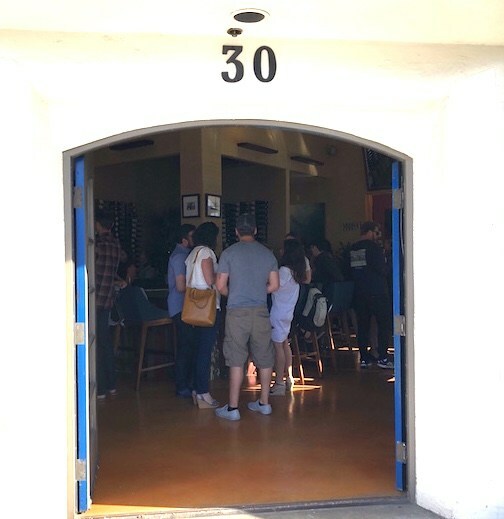 Other fine eateries include Pane e Vino, Via Vai Trattoria Pizzeria and Montecito Wine Bistro, as well as food purveyors like Montecito Village Grocery and Village Cheese & Wine (which reportedly kept the doors open and locals who didn’t evacuate fed throughout the nearly three weeks that Montecito was clamped down in a post-flood mandatory evacuation). Shopping for unique items is a pleasure at Imagine Artful Things, a beautiful gem of a store that defies categorization. Trust us, you’re sure to find distinctive gifts for the home as well as everyone on your list (including yourself). Other notable art, gifts and home good dealers in the area include Upstairs at Pierre Lafond (with everything from home dècor, to tabletop pieces and gorgeous local artwork), The Stationery Collection, Tecolote Book Shop (complete with a lovely grassy outdoor area to pull up a seat if you just can’t wait to dig into the latest bestseller), Village Frame & Gallery, Clare Swan Clothing & Travel and Jenni Kayne Home & Apparel. 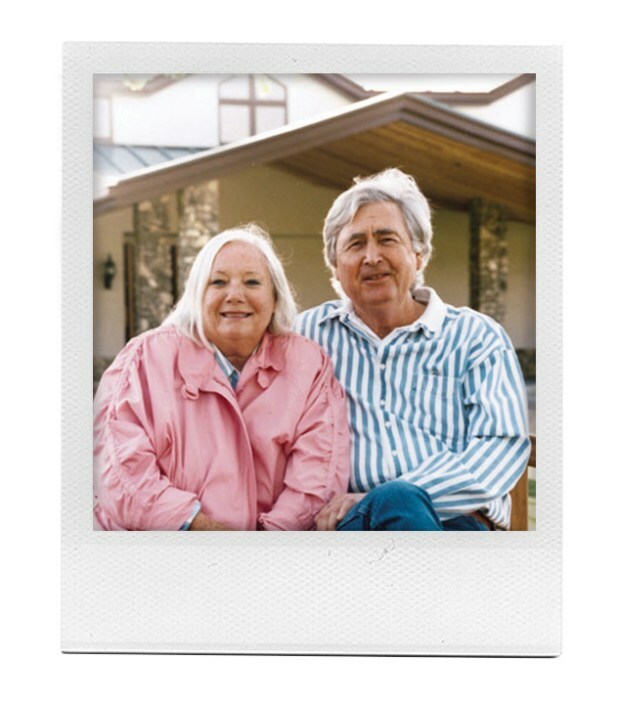 An impressive number of antique stores are in the area, including Josephine’s Antiques, Davis & Taft Antiques, Country House Antiques, Carty & Carty Antiques, Brostrom Antiques, William Lahman Furniture (a charming mix of antiques, accessories and garden objects) and Haskell Antiques. Stylish women’s fashions can be found at Juniper Women’s Boutique (the handmade belts are one-of-a-kind), Glamour House Intimate Apparel (which has beautiful nighties and PJs for holiday gifting), Giuliana Haute Couture, Julianne Boutique and two stores—Wendy Foster Clothing and Wendy Foster Sportswear—from Santa Barbara’s long-time doyenne of style. Health and wellness salons include Skin Essentials, Dadiana, Beauty & Hair Salon and Mareva International. Jewelers in the village include Bryant & Sons Jewelers, Tresor Fine Jewelry & Collectibles, George Meta Jewelry and Oliver & Espig Gallery of Fine Arts. 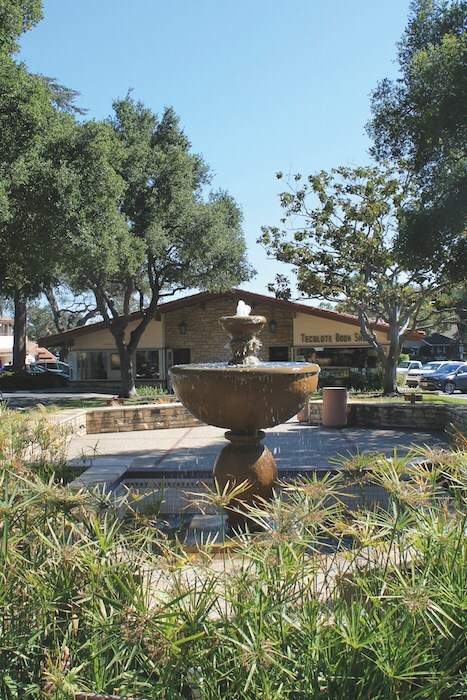 In addition, there’s a wealth of services available in the upper village, including Automotive & Repair, Montecito Village Hardware, Sotheby’s International Realty (Sandy Stahl and an additional office), Wells Fargo Bank & Trust, ACI Jet, Blake Ashley Design, Montecito Executive Services, Montecito Library, Montecito Associates, Union Bank, Santa Barbara Travel Bureau, Elder Studio, Northern Trust (two offices), Coldwell Banker, Hogue & Co. Florists, House of Honey, American Riviera Bank and Gazebo Gardens. personal touch. Please call individual stores for hours of operation, as they can vary. 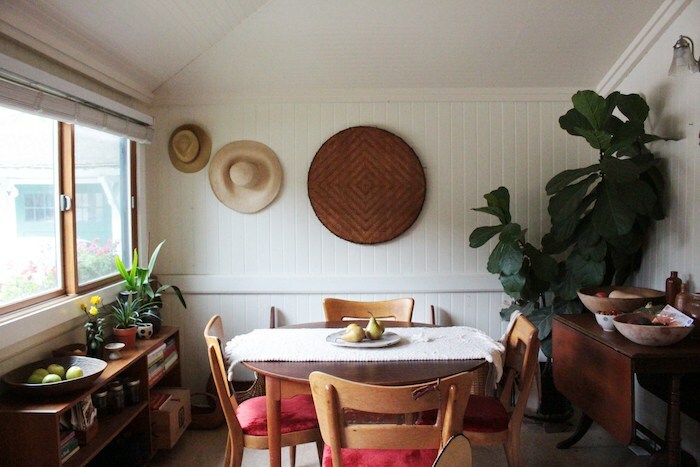 The Lower Lodge plays host to the Poetics of the Handmade on Dec. 1, courtesy photo. 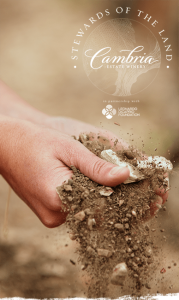 Looking for a way to “buy local” and support artisans at the same time. 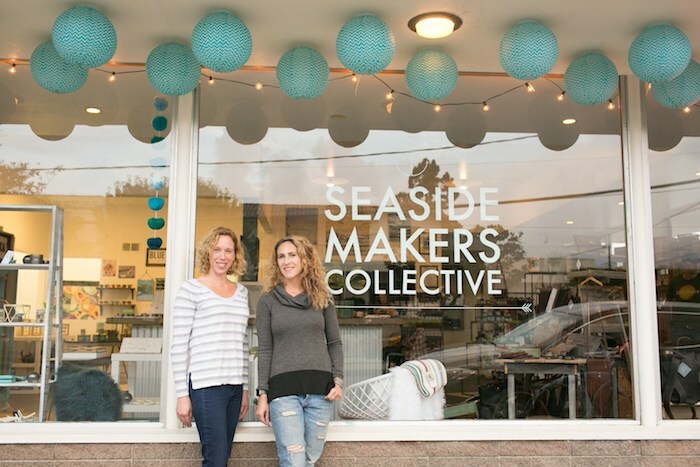 Check out Poetics of the Handmade, the third annual local makers market where you can find unique gifts for the whole family. 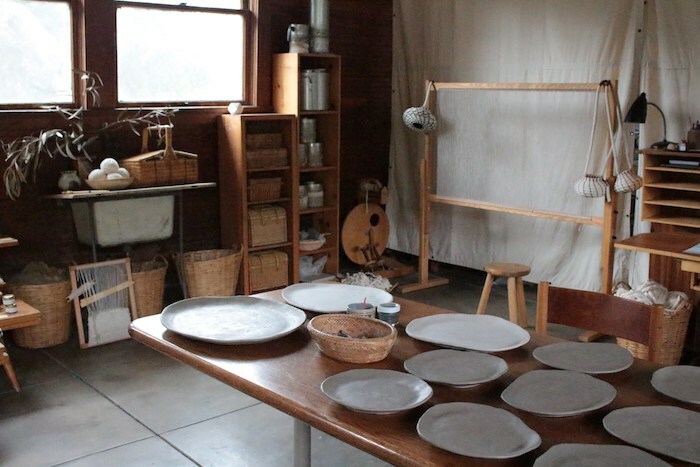 The market takes place on Dec. 1 from 10 a.m. to 4 p.m. at The Lower Lodge, local artists’ Hannah Vainstein and Nathan Hayden‘s cool 1920’s carriage house studio between the Mission and the Natural History Museum. Trust us, you’ll want to go check this one out. 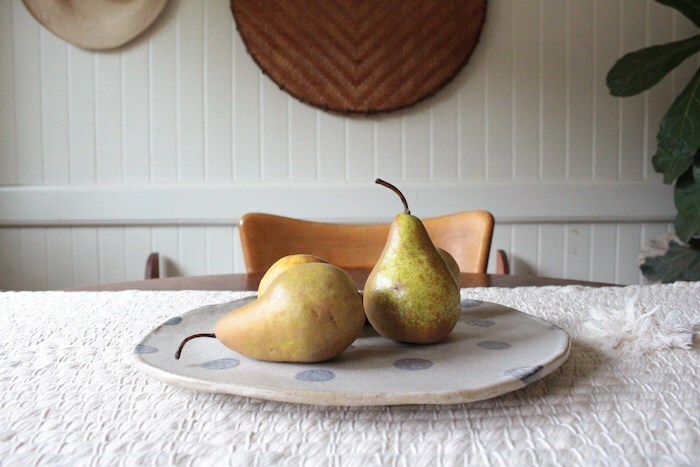 Ceramics by Polka-Dot-Pottery is one of several makers with work for sale when The Lower Lodge plays host to the Poetics of the Handmade on Dec. 1, courtesy photo. 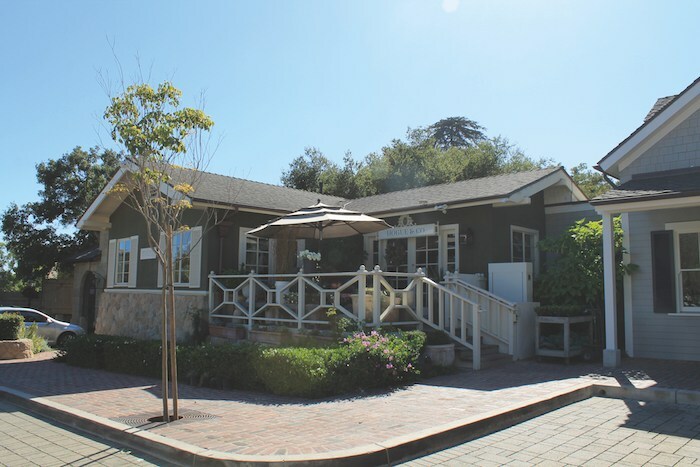 The Lower Lodge is located at 609 Mission Canyon Rd. 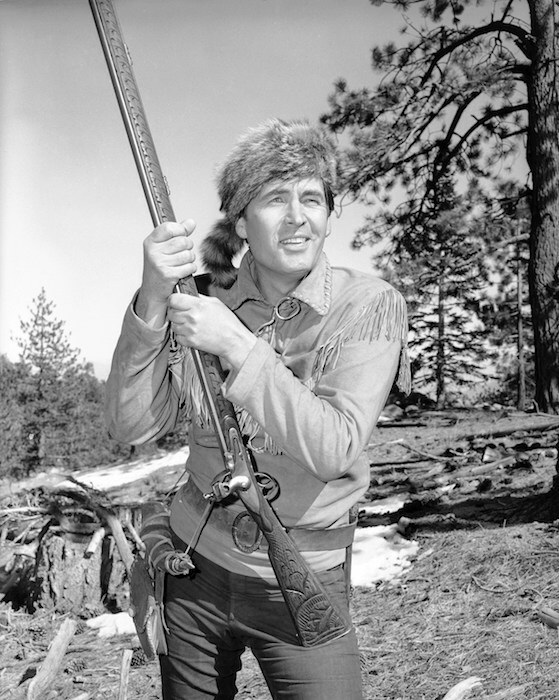 For more information, visit www.thelowerlodge.com. Originally published in Santa Barbara Seasons on November 25, 2018. 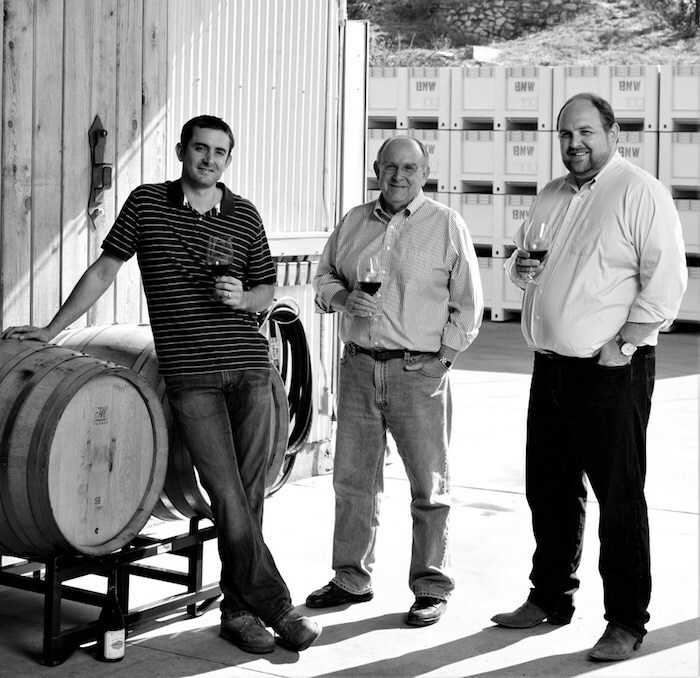 Small Business Saturday, Sampling State, Annual Holiday Parade and Tuba Christmas are among the many special events coming to SB! Rescue dog Mojo with Handler Tracee Walker, courtesy photo. 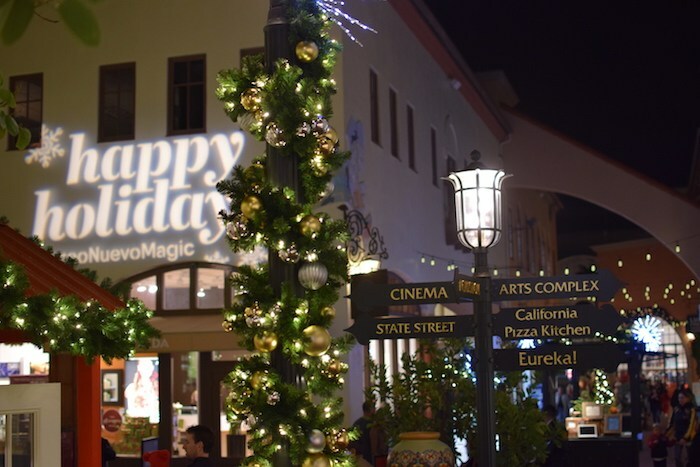 Downtown Santa Barbara (DSB) is raring and ready for Holiday shopping, Holiday dining, Holiday Happy Hour, Holiday parties, Holiday strolling, Holiday décor and lights viewing, and last but not least, Holiday events! First up is Small Business Saturday Sponsored by Montecito Bank & Trust, on Saturday, November 24 from 10 a.m. to 4 p.m. Check out the SBS Welcome Center at Historic Storke Placita (700 State St.) to find Downtown SB booths with block by block information, try your hand at DSBingo, Downtown Trivia, Spin the Wheel to Win and the ever-popular Corn Hole, and enjoy the festive tunes of Holiday Horns. At 11 a.m., Downtown restaurants will step outside to offer tastes of their fare for Sampling State. 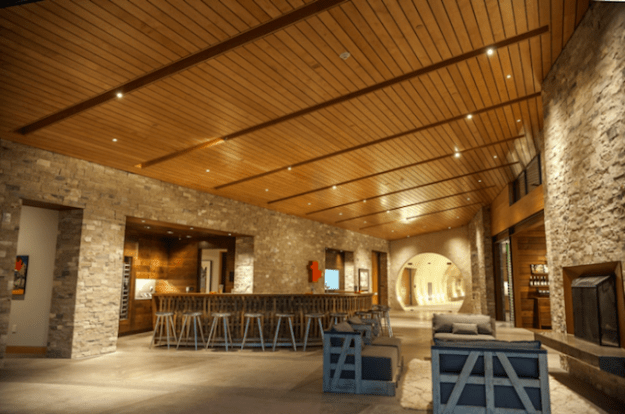 “Our goal with Sampling State is that restaurant doors will swing open at the same time, offering small bites from their great menus,” says DSB Business Manager, Erik Krueger. Downtown Santa Barbara Holiday Parade, courtesy photo. 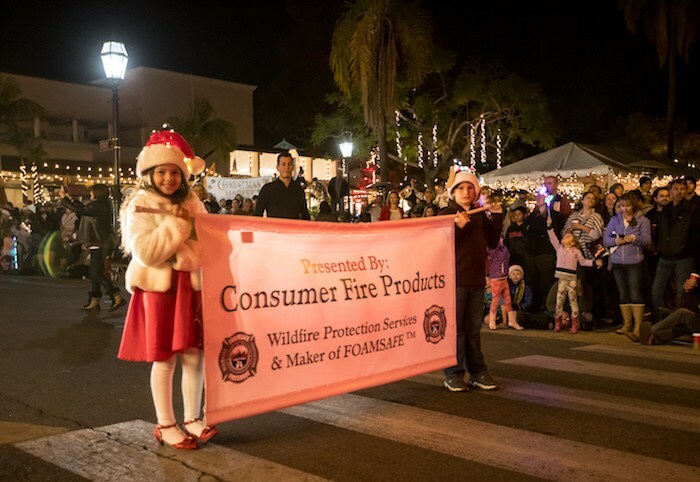 Friday, December 7 is the Downtown Santa Barbara Annual Holiday Parade Presented by Consumer Fire Products Inc. 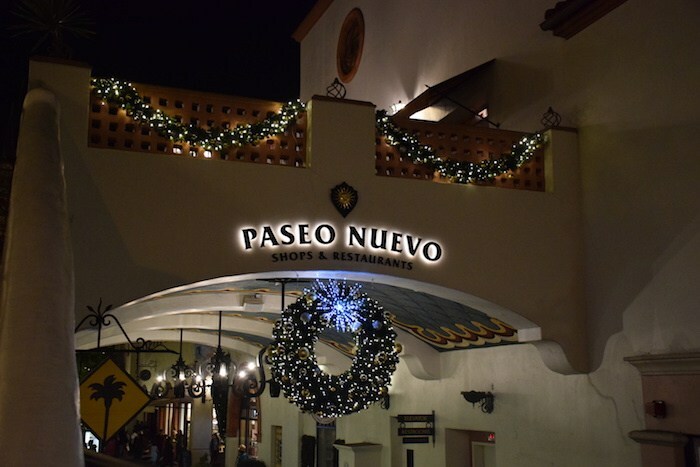 Starting at 6:30 p.m., check out the big balloons, marching bands, and the Grand Marshal(s) sponsored by Lemos Feed & Pet Supply —four heroic K9 dog teams of Santa Barbara County Search & Rescue. 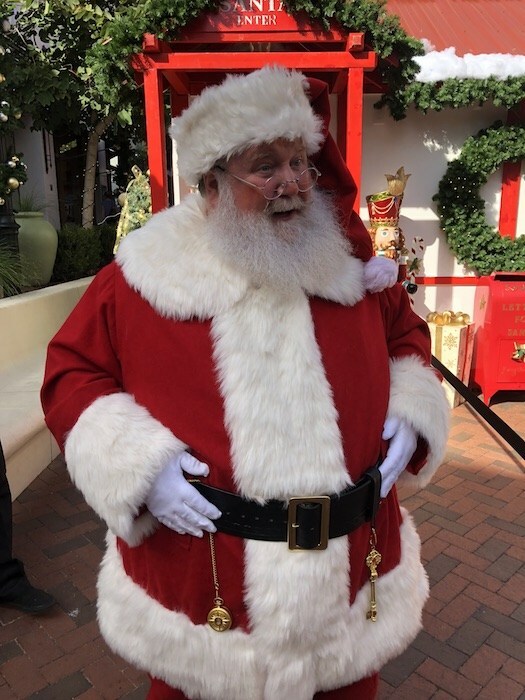 The 66th Annual Downtown Santa Barbara Holiday Parade, Presented by Consumer Fire Products Inc. starts at Sola St. and continues down State St. to Cota St.
Tuba Christmas comes downtown on Saturday, December 15 at noon. Get your oom-pah-pah on with this nearly 30-year-old brass tradition! 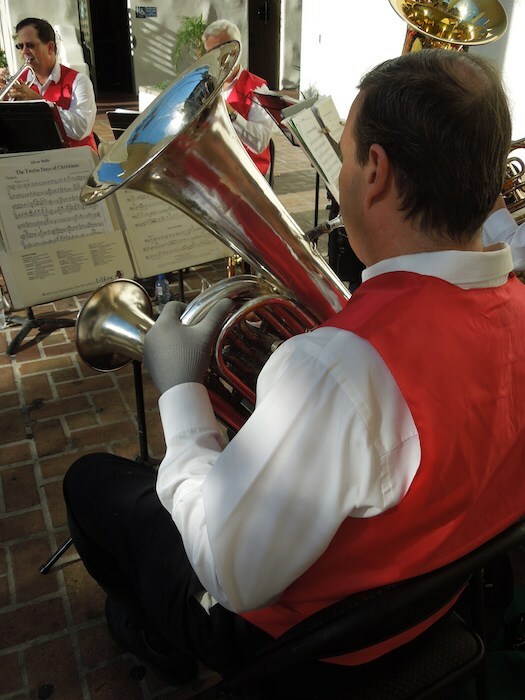 Tap your toes to the beloved Christmas Brass/Trombone Christmas /TubaChristmas concert in Storke Placita. Originally published in Santa Barbara Seasons on November 19, 2018. 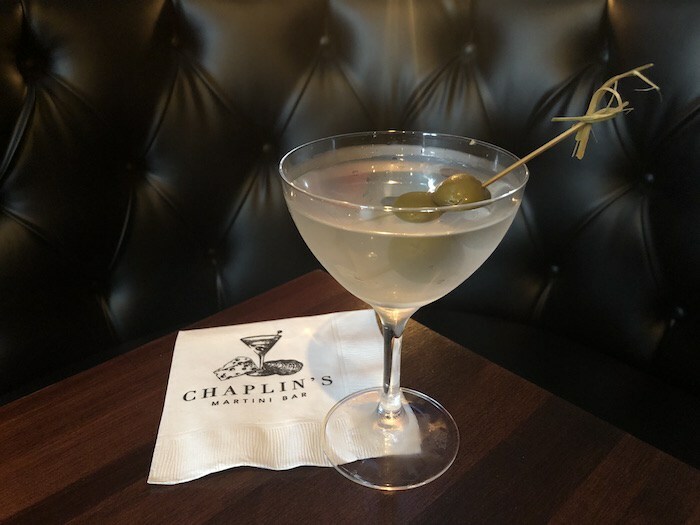 The perfect martini at Chaplin’s Martini Bar, courtesy photo. Looking for an intimate spot for a private tête-à-tête? The new Chaplin’s Martini Bar at the Montecito Inn offers a step back in time—to Charlie Chaplin‘s era—with a nicely curated menu of classic cocktails and a big dose of retro charm. Both the hour and the era are quickly forgotten when you step into this cozy lounge, which was briefly home to Frankland’s Crab & Co, is now a quietly sophisticated cocktail lounge. 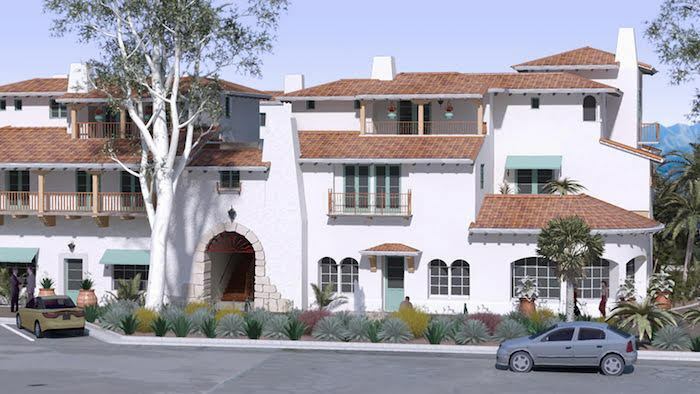 This new concept from Scratch|Restaurants Chef-Owners Phillip Frankland Lee and Margarita Kallas-Lee has a speakeasy vibe meant to hearken back to the Montecito Inn’s early days. 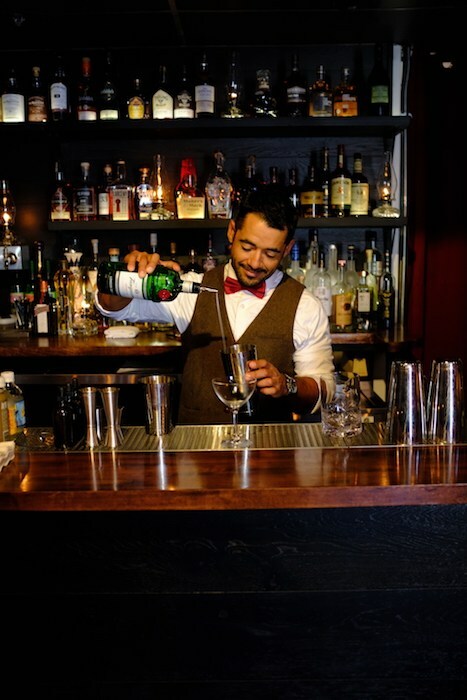 The “master of ceremonies” at Chaplin’s Martini Bar mixes up a variety of golden era-inspired cocktails, courtesy photo. 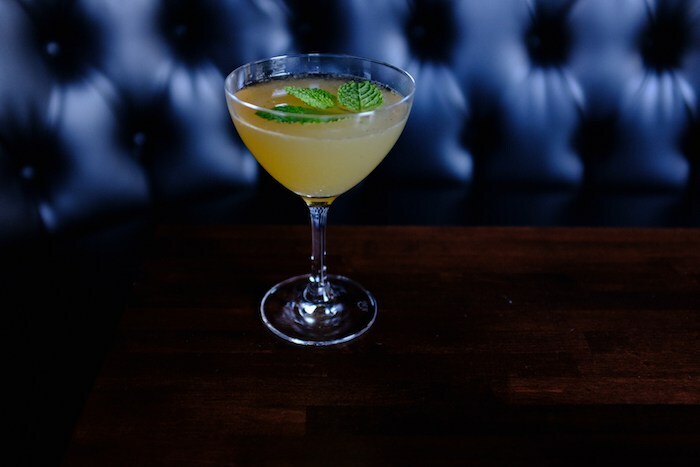 At the center of the room, a “master of ceremonies” shakes and stirs a clever cocktail menu– including the perfect, old school martini. Also available are the gin-focused, 1920s-era Corpse Reviver #2 (Tanqueray Gin, Lemon, Pierre Ferrand Dry Curacao, Kina L’Aéro d’Or), Bee’s Knees (Tanqueray Gin, Lemon, Honey), French 75 (Tanqueray Gin, Lemon, Simple Syrup, Sparkling Wine) and Hanky Panky (Tanqueray Gin, Fernet-Branca, Carpano Antica). 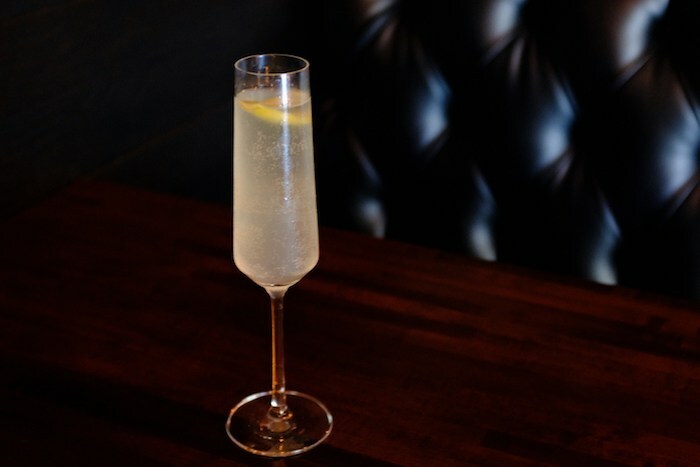 The French 75 at Chaplin’s Martini Bar, courtesy photo. 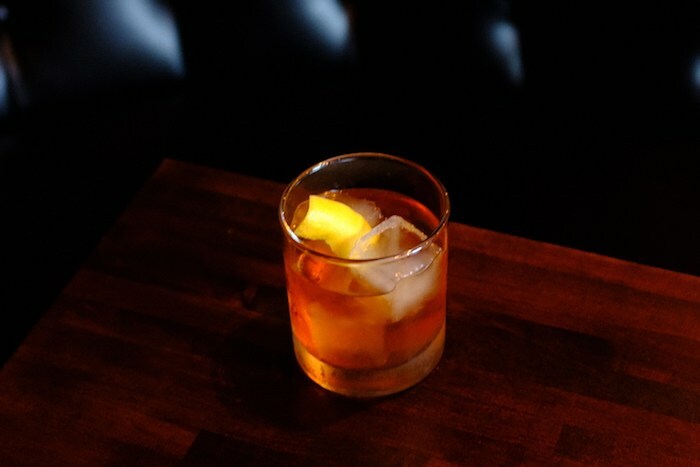 The late 1930s provide the inspiration for Scotch and Whiskey cocktail offerings: the Rusty Nail (Monkey Shoulder Blended Scotch, Drambuie, Angostura) and Vieux Carré (Old Overholt Rye Whiskey, Angostura, Peychaud’s Bitters, Carpano Antica, Vermouth Rouge, Pierre Ferrand 1840). The Rusty Nail at Chaplin’s Martini Bar, courtesy photo. From the 1940s – 1960s, Rum and Vodka cocktails are the center of attention, with the Kangaroo Kicker (Charbay Vodka, Carpano Dry), and Air Mail (Bacradi Superior, Mint Leaves, Honey Syrup, Lime Juice, Sparkling Wine). The Air Mail at Chaplin’s Martini Bar, courtesy photo. 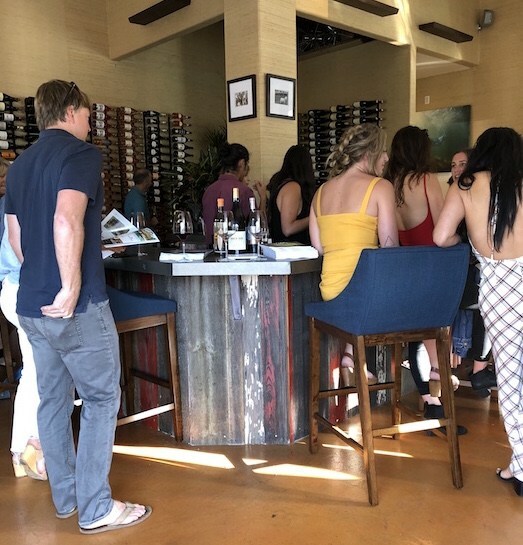 All of the craft cocktails are priced from $12 – $15 (a deal by Montecito standards), and a large selection of wine, craft beer and spirits are also available. The bar snacks available also have a retro vibe, and include French cheeses and Italian charcuterie, homemade sourdough and accoutrements; Endive Salad with candied walnuts and shaved apple; Jumbo Shrimp with a housemade cocktail sauce; Steak Tartare with cornichons, quail egg and shallots; and Local Oysters served On the Half Shell or Rockefeller style. 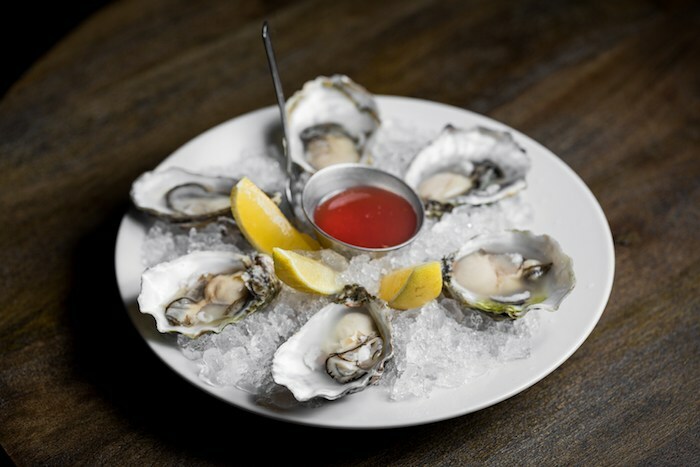 Oysters at Chaplin’s Martini Bar, courtesy photo. It’s hard to believe that just weeks ago this place was brightly lit crab shack. The transformation is quite dramatic. Designed in collaboration with Montecito Inn Co-Owner and Designer Danny Copus, Chaplin’s design features warm tones, with wood-trimmed booths in tufted jet-black leather and dark, coffee-colored oak bar. 1960s era James Bond would be quite at home here—it feels like the perfect spot for an assignation. 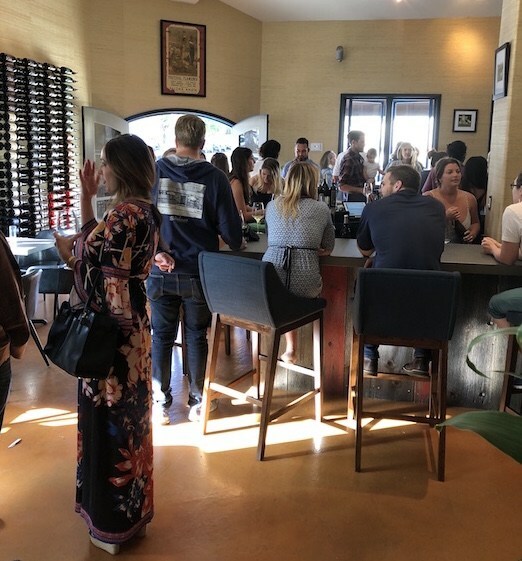 Chaplin’s Martini Bar, 1295 Coast Village Rd., Montecito, chaplinsmartinibar.com, 818/906-9609, open daily from 4 p.m. – midnight, without reservations. Originally published in Santa Barbara Seasons on October 26, 2018. Originally published in Santa Barbara Seasons on July 6, 2018.